What a beautifully done narrow waist binding, eh? This was my solution to the Burda Disaster of last year. I cut off the bodice and made it into a skirt. First, I could not recut the armscyes the three inches higher they needed to be. 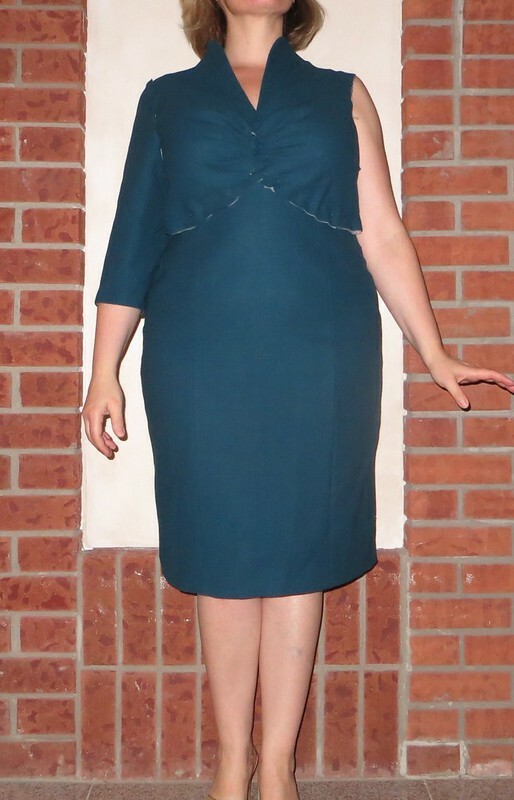 Second, I didn’t have enough fabric to fix all the drag lines on those sleeves. 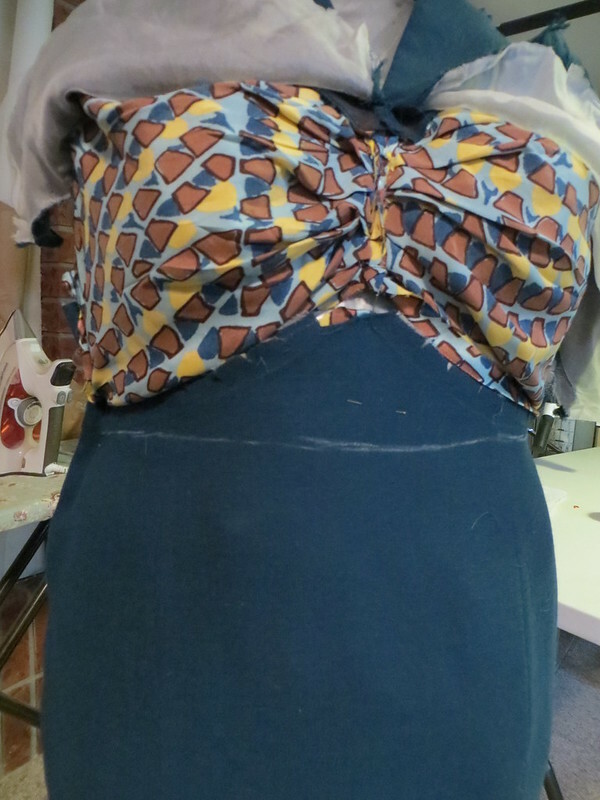 But I did put in a little more work than simply chopping off the bodice. 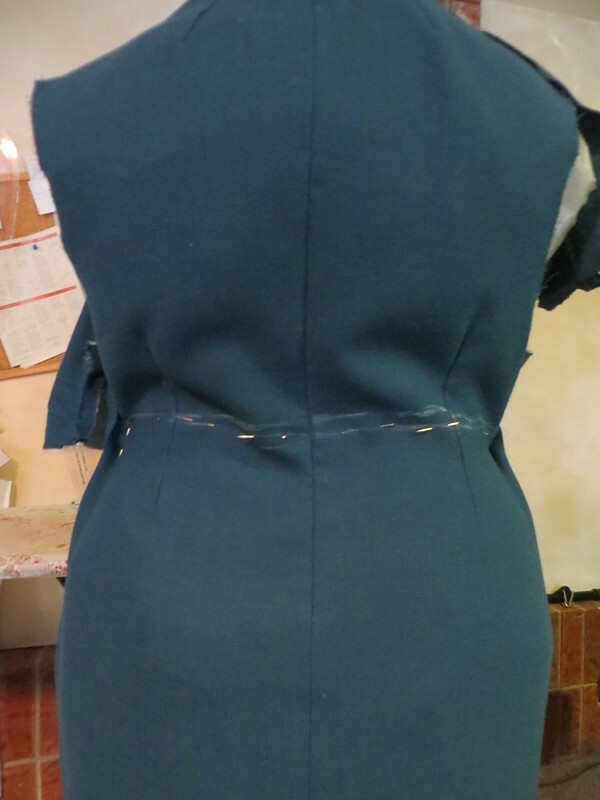 I took the entire thing apart, and re-distributed the fullness through the bodice pleats. I pin basted the changes, but this looked pretty good. Actually, I thought it was a big improvement from the excessive bustline fabric folds in the original version. I’m still really drawn to the idea of this dress, so I do have plans to make it up again in the (near) future. 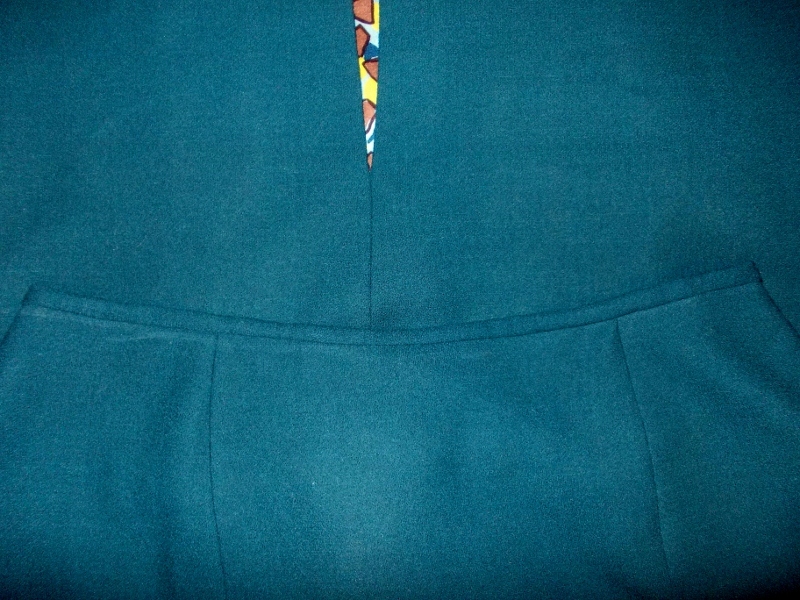 I carefully noted the bodice changes: about a 3/4 reduction in the CF pleats. In other words, I altered out my FBA. And I raised the armscye by about 3 inches. All the changes are well-documented, so here’s to my new blue skirt, and another successful version of this dress in the future. Edited to add: The skirt is a great addition in my wardrobe – I’ve already worn it a few times, and I’m happy with the blue addition. But I’ve moved on from this dress, and won’t be making it up again. Here’s to a new year of sewing, with lessons learned and applied and more muslins, less wadders. Glad you were able to salvage this. Could the leftover top bit be turned into a bolero jacket? I just found your blog today, and I am quite impressed! Nice work salvaging the skirt, and I’m looking forward to other things you share with us. Ah…bummer. But a great new skirt! I’ve done the same thing, turned a wadder dress into a skirt, and I’ve worn it so many times, probably more than I ever would have as the original dress. Happy New Year!! I’ve looked at this pattern a number of times too. Thank you for your insights! Good for you taking the bull by the horns!!!! 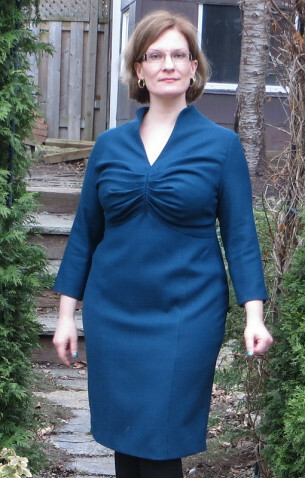 A perfect blue skirt is way more flattering that that poofy front bodice! Let’s make 2015 wadder free! Great save- that fabric was too lovely to lose! So glad you have something beautiful to wear from this. I was never drawn to this pattern either, although I thought your dress looked fine ( that is as long as no arm movement was necessary! ).